"I've gone around the world in installments. Every trip has been a revelation. I've watched regions, nations, and continents change moods and I've met more people on trains than in forty years of airplane flights. Every train trip has been a spectacle. Trains are stages, caf�s, bazaars. The only talk show that will never go off the air..."
Beppe Severgnini has spent his life traveling the world, and not just because he's a journalist; he's a passionate, unflagging train buff. 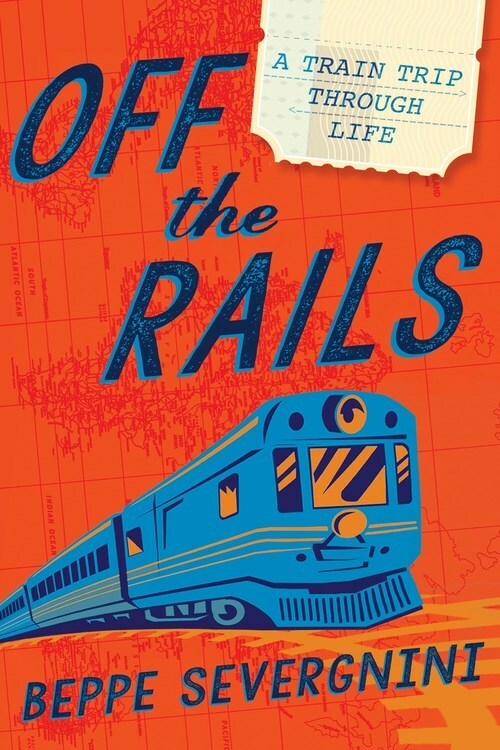 Off the Rails recounts some of his favorite trips across Europe, Australia, Asia, and the United States, each journey bringing readers not only to a different place but to a different time, from his honeymoon on the Trans-Siberian Express (in a four-person compartment! ), to a winding journey from Russia to Turkey during the last summer of communism, to a recent coast-to-coast trip with his son from Washington, D.C., to Washington State. Off the Rails is the perfect getaway for anyone with a touch of wanderlust, who dreams of escape or just likes to laugh. Filled with memorable characters and perceptive observations, it demonstrates--hilariously--what unites us. With the world in chaos and life in perpetual fast-forward, it's always the right time to hop on board with Beppe Severgnini and meet your charming, hapless, quarrelsome, romantic, shifty, quirky, endearing neighbors.